How long do you think the average work email goes unread? An hour? 10 minutes? 5 minutes? 1 minute? Try 6 seconds! 70 percent of office emails are read within six seconds of arriving. Instead of improving our lives, technology is increasingly getting in the way of enjoying our lives. And the biggest source of trouble is the smartphone. People average 3 hours a day on their phones - for the younger generation this is at the conservative end of the scale. In the pre-smartphone era that number was less than 20 minutes. When asked whether they would prefer to have a broken bone or a broken phone 46% of young adults opted for the former. 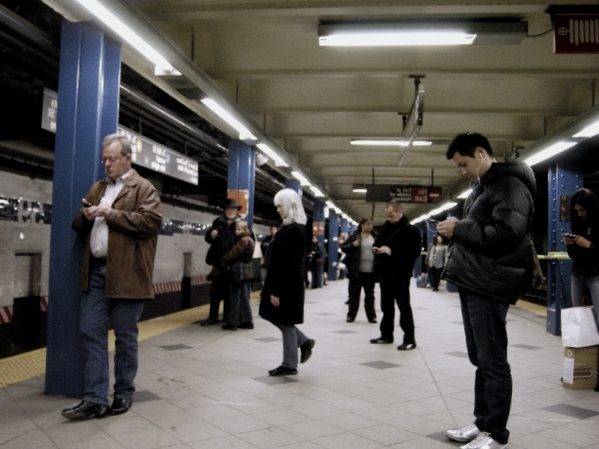 Is Phone Use Really an Addiction? Addiction is about soothing psychological distress. It’s using something to cope with a problem in life. You only develop an addiction when there is some psychological motive that hasn’t been fulfilled: loneliness, bullying, heartache or tragedy, or simply the inability to make good things happen in your life. It doesn’t actually matter what you use to soothe that addiction, whether it’s playing a particular game that lulls you into a distracted state or whether it’s taking a drug. In terms of soothing those psychological ills, behaviour and substance addictions are very similar. We live in an age of anxiety. Phones are a way to soothe that anxiety. But they can also add to that anxiety. Some researchers refer to smartphones as “adult pacifiers.” We get cranky, bored, or distressed and the pacifier soothes us. But it's only a temporary fix and the more we use it, the more we need it. Often when we spend an evening watching mindless reality TV or on Social Media the pleasure is extremely fleeting often leaving us with a feeling of a missed opportunity or having wasted our time. We sort of know we would have gained more from reading a book, concentrating on a good film or sharing a meal with a loved one in person, but we can't help it! 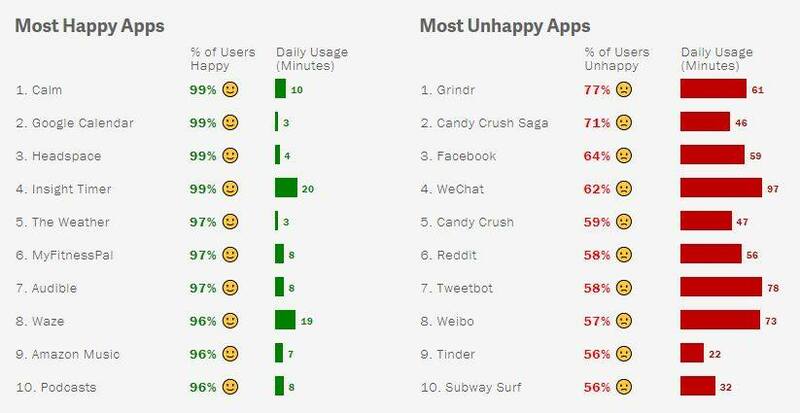 Have a look at this fascinating infographic courtesy www.timewellspent.io - it shows that the Apps deliberately designed to use up more of our time are also the ones that make us the most unhappiest! Go figure! Don’t is a declarative statement about what kind of a person you are. When you say you don’t do something you give yourself the power to have made the decision not to do that thing. When you say can’t it feels as though some external force is telling you that you shouldn’t be doing this thing. The way human motivation and decision making works is that we do much better when it’s something that feels like it has arisen within us. We don’t like being told what we can and can’t do. Studies have shown that people stating that they can't do something were only successful 10% of the time, whereas those stating that they don't do something were 80% likely to follow through. There are various other language tricks you can employ to empower your decisions. Use firm "I" and "do" and "will" words rather than vaguer words like "might" "try" "maybe" and "think". How much more powerful is it to say "I will do that on Monday" rather than "We think we might try to do that sometime"? Be definite and commit. When you don’t absolutely have to have your phone by your side, put it somewhere you can’t easily reach it. In a different room or at least out of reach. Just by making it that little bit more difficult to do something, we will do it less. Design your environment to maximise your well-being. One way to do this is to ensure your addictive temptation is far away. So if there’s something that you keep doing obsessively (whether it's a phone, going to the biscuit tin, or the TV remote) make sure that it’s not in your immediate environment and you’re less likely to do it. That’s a much more effective way of preventing yourself from using it than say keeping it nearby but trying to just suppress the desire to use it. This is one time when our natural inertia and laziness works in our favour. Technology can be a great tool if you use it. If it uses you it can lead to problems. If you absolutely need your phone nearby, turn off all non-essential notifications, or turn the power off altogether and just turn it on periodically. 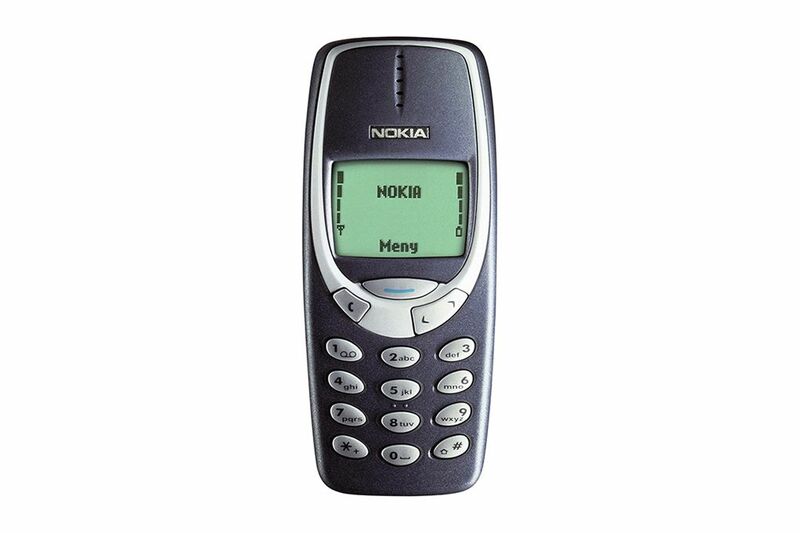 When it's on turn off the “ding” sound when you get a text message so that instead of your phone shouting constantly, “Hey, check me now,” you decide when it’s time to check. You’re removing the control from the phone and you’re bringing it back to yourself. Ever said you’re going to “just check your phone quickly” — and then an hour goes by? You check email, Facebook, Twitter, and Instagram… and by the time you’ve done all that, it’s time to check email, Facebook, Twitter, and Instagram again. Researchers term this the “ludic loop.” It’s what slot machines and online gambling websites are designed to produce. The “ludic loop” is the phenomenon that when you’re engaged in an addictive experience, you are lulled into an almost hypnotic state of tranquility where you just keep doing the same thing over and over again. It becomes so comfortable that you don't stop until you are literally shaken out of it. So what you want to do is make sure you have that interruption planned ahead of time — create stopping rules and frame them with "I don't". Eg. "I don't watch more than one episode of a show in a row." "I don't work past 10pm." "I don't check my emails on the weekend." Even better set a physical timer such as an alarm or an automatic power cut off time for your PC or internet (especially useful for children). The rule breaks the reverie and makes you think of something else; it gets you outside of the space you’ve been in. 4) Don’t Break Habits. Replace Them. Proximity is destiny and works both ways. If you want to do something, you have to be in the position to do that thing. If you want to sleep more, you have to be in bed. If you want to get fit at the gym, you have to be at the gym. If you find you read most when you are in the bath, have a bath. If you are constantly late for work set your alarm for quarter an hour earlier and change your mindset from one of having to leave the house by 7.45 say, to one of having to leave your house by 7.30. So keep things you want to reduce away from you, but at the same time put things you want to encourage near to you. So when you sit on the sofa, make sure the phone is far away AND a book is within reach. So now you’re not just gritting your teeth trying to not check your phone. You’re substituting a good habit for the bad one. When you want to check your phone, you grab a book instead. Find a behaviour that is a stand-in for the behaviour that you don’t want to be doing. You replace the bad thing that you don't want to be doing with something good that you do want to be doing. On your phone or tablet hide the time wasting apps away and put the good ones on the front screen. So when you lift your device without thinking, checking Facebook is a pain while reading books is easy. Checking your phone actually becomes a good thing. Even better, if you want to read more books use a Kindle specifically designed for this purpose where internet browsing is difficult or impossible, rather than a distracting Ipad or phone where the temptation to check the internet will be too much. 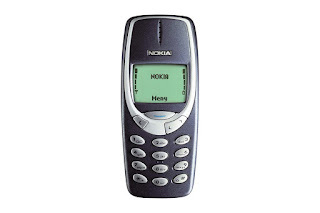 If you only really need your phone for texting and phone calls why not bin the smartphone and go back to a basic brick style phone such as the classic Nokia where even photos, let alone internet, are impossible. 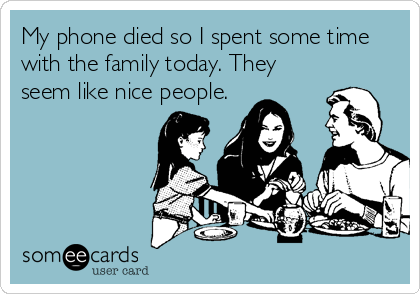 You'll also save money and enjoy unrivalled battery life - ironically a much smarter phone choice! Remember the feelings, memories and satisfaction you have after an evening absorbed in a good book, an album (yes a whole album! ), an inspiring film, or a socialable night out with your partner or friends. Or the tangible sense of achievement gained having completed a piece of work, a personal challenge, fixed, started, or learnt something, or just caught up on a good night's sleep. Compare that with the blurred sense of time wasted when an evening is spent on Facebook, or the realisation that your 10,000 tweets (read and remembered by no-one) could have gone towards a 140,000 word novel! Remember this when you are next tempted. Spending time on Facebook is a bit like eating a Big Mac. It tastes quite nice at the time and there is some instant gratification but five minutes later you feel sick and dirty! In Robert Louis Stevenson's classic tale Dr. Jekyll knows he’s going to turn into a werewolf after nightfall so he barricades the door and chains himself in the basement. This way, when he transforms into the monster, he won’t be able to harm anyone. By making smart decisions in anticipation of a problem, you make sure the future-you doesn’t do anything inappropriate like rudely checking your phone in company. Of course it is hard to do the right thing all the time so increase your chances by encouraging your future-self by planning your future environments. 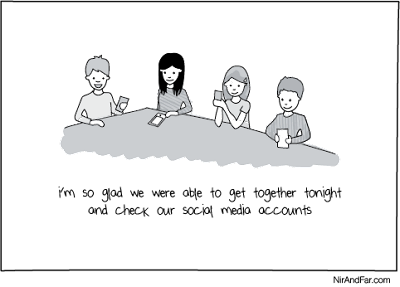 If you are going out to a dinner party and you know you are susceptible to the temptation to check your phone at the table every five minutes, leave it in your coat pocket knowing that the lack of proximity will hinder this desire. If you need to keep it on your person just turn the power off. Have you ever noticed how you keep returning to the biscuit tin knowing there are biscuits in there. Once they have run out your need miraculously disappears. If you have a sweet tooth and know you easily succumb to the chocolate in the larder take a step back and realise you only eat it as it is there. Next time you are in the supermarket don't buy any and you won't have any in your proximity the next time the temptation arises. Obtaining new chocolate is too much bother. “Don’t” say “Can’t”: You can always check your phone. But you decide to be the kind of person who doesn’t. You don’t break habits. 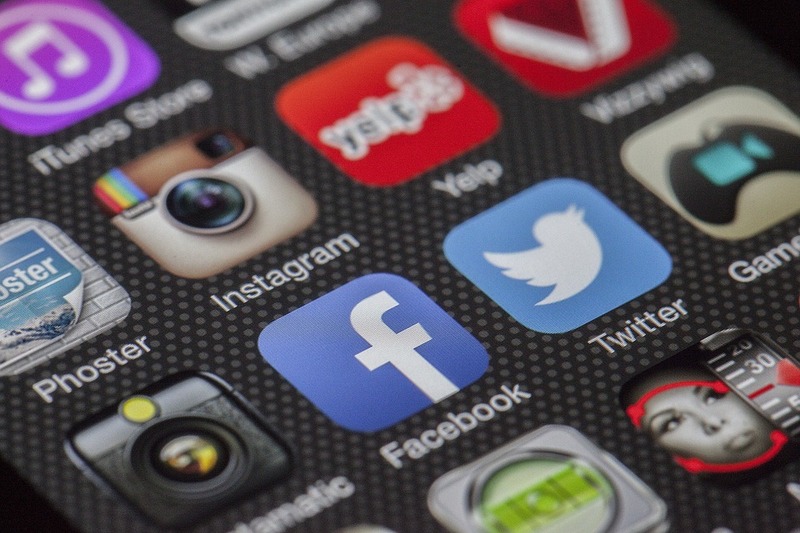 You replace them: Good apps up front. Time wasting apps hidden or deleted. 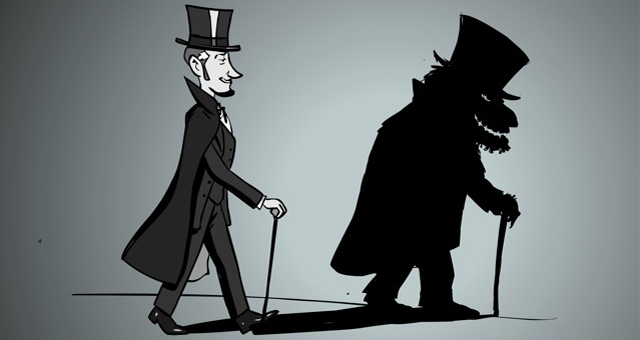 Dr. Jekyll, prepare for Mr. Hyde: Give your phone to a friend before you drink so the werewolf can’t drunk-text exes! Addictions start when there’s a problem in your life you’re struggling to cope with. So checking your phone way too much can be an indicator of something awry. When you have good ways to soothe your worries like good relationships with people you love, you’re less likely to develop behavioural addictions. Addiction is really about soothing a psychological ill and that’s true no matter what the addiction is. People who have a strong social support network, who have a very full life, tend not to develop addiction. So the long term solution is not about the phone. It’s about getting closer to that special someone and spending more time with them. And letting that bond soothe the worries you’re running to your phone for. So if you are reading this on your phone, text or email that person. Let them know you care. And then don't hang on an answer— put the phone away. 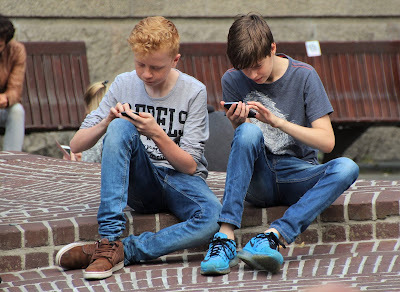 Shared, edited and adapted from Irresistible: Why We Can't Stop Checking, Scrolling, Clicking and Watching by Adam Alter, and This Is How To Stop Checking Your Phone: 5 Secrets From Research by Eric Barker.